#TBT- Last Week’s SoCal Shows! especially LA @thenovodtla, OC @theobservatoryoc and SD @observatorySD! 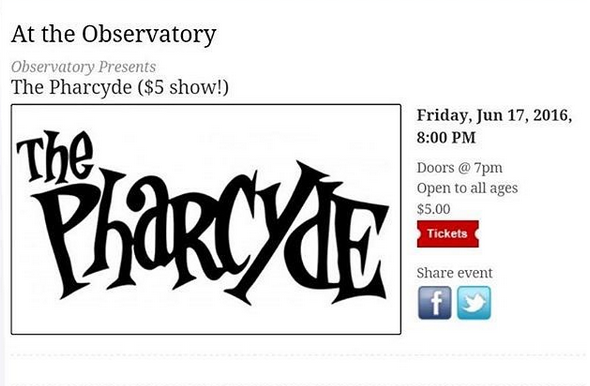 Thank you for your continuous support, and don’t forget to check us out in July. All the info is below. It’s throwback Thursday so let’s take it back to a couple weeks ago when The Pharcyde was Napa Valley at the Bottlerock music festival. 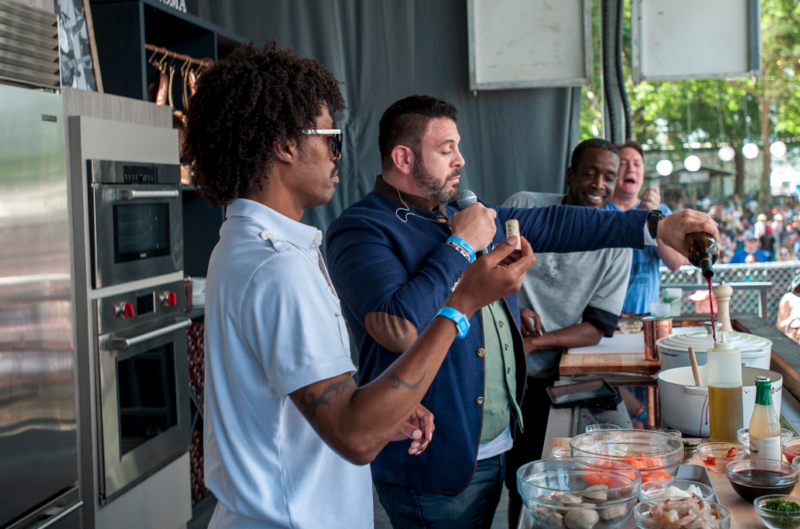 Check out an interview where they talk about how to make a mixtape, they also hit the Phood Phigthers stage on the Williams-Sonoma Culinary stage AND don’t forget to watch Adam Richman hit the stage and rap along with The Pharcyde it’s pretty awesome! 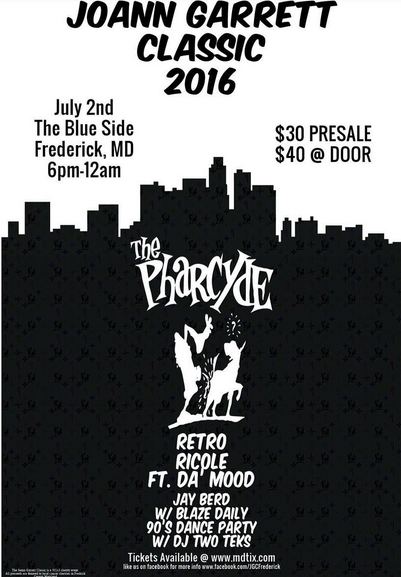 CATCH THE PHARCYDE PERFORMING AT A CITY NEAR YOU!! 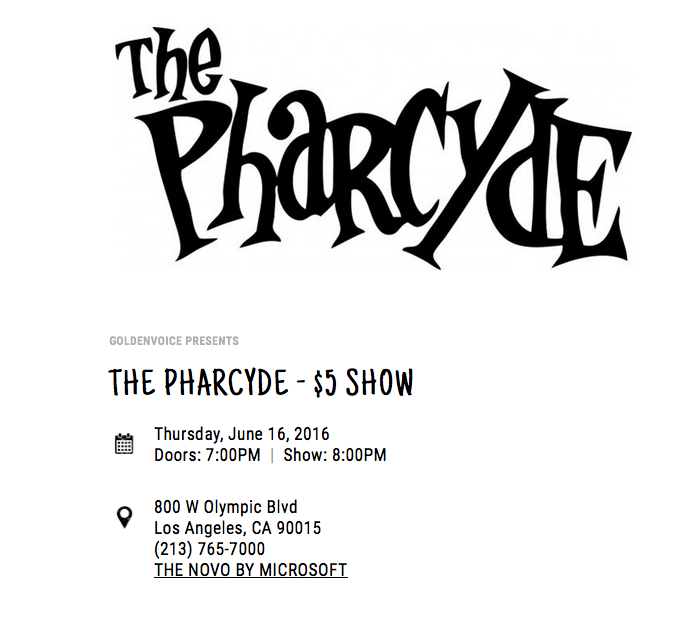 Check out some of the upcoming Pharcyde shows at the NOVO by Mircosoft in DTLA (16th) as well as The Observatory in Orange County (17th) and San Diego(18th). All three of these shows are local shows and ONLY $5 dollars, so you DO NOT want to miss this opportunity!! 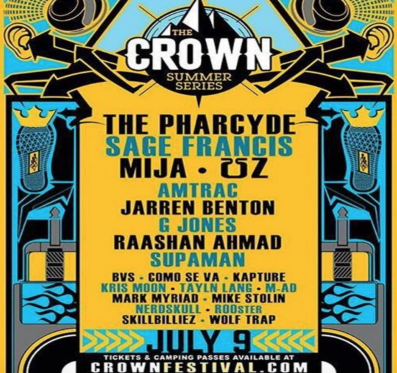 The July shows will take place out of state. We hope to see you there! Check out the flyers below and plan to buy your tickets accordingly. For more information on ticket purchase, click on the links provided. 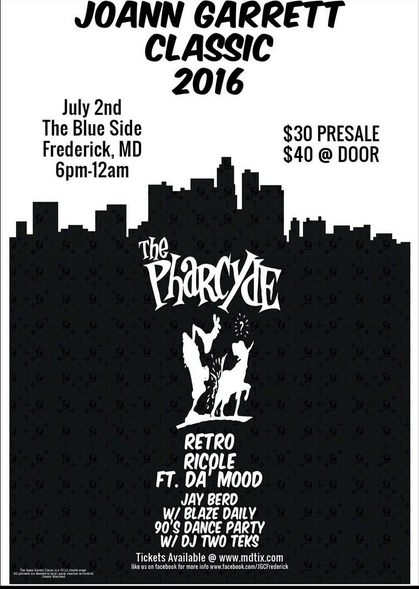 Purchase tickets for this show here. 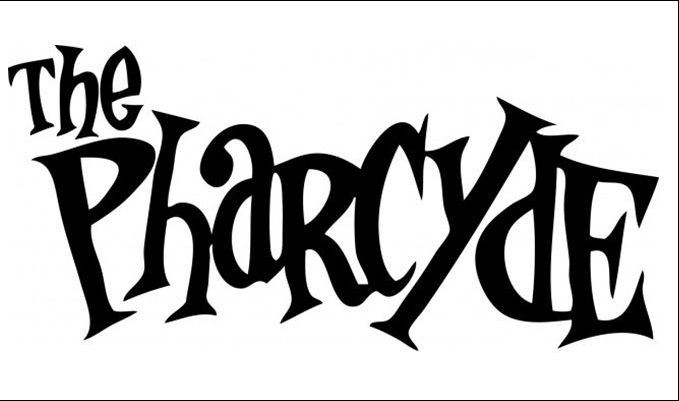 The Pharcyde is celebrating the 20th Anniversary of their iconic album Labcabincalifornia by releasing a commemorative mixtape. In a collaborative effort, the #BeamMeUpSpinna mixtape is mixed by NYC’s DJ Spinna and features “Nasty Habits”, an unreleased joint from the vault produced by ShowBiz that features Ralph Tresvant & Bobby Brown. Imani & Bootie Brown also invited a group of producers to remix and add their own personal spin on a few of the Labcabincalifornia songs that you all know and love. DJ SPINNA is a heavily touted presence in the international soulful house music scene. He is known for his vast accomplishments as a producer, is celebrated for his “Soul Slam” events and Stevie Wonder inspired WONDER-­‐Full Dj performances and subsequent collaborations. 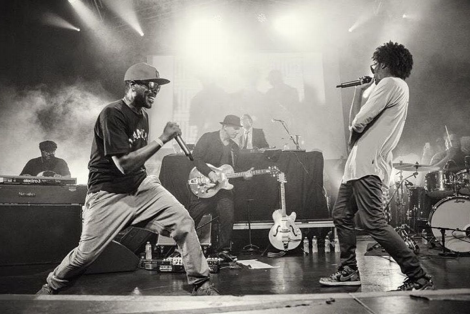 enlisted a young and then unknown James Yancey aka J DILLA to produce beats, like the cult classic “Runnin.” They also collaborated with director Spike Jonze (“Being John Malkovich” “Adaptation”) on the video for “Drop.” Labcabincalifornia has consistently and continues to reinforce their steadfast refusal to tread familiar artistic grounds. 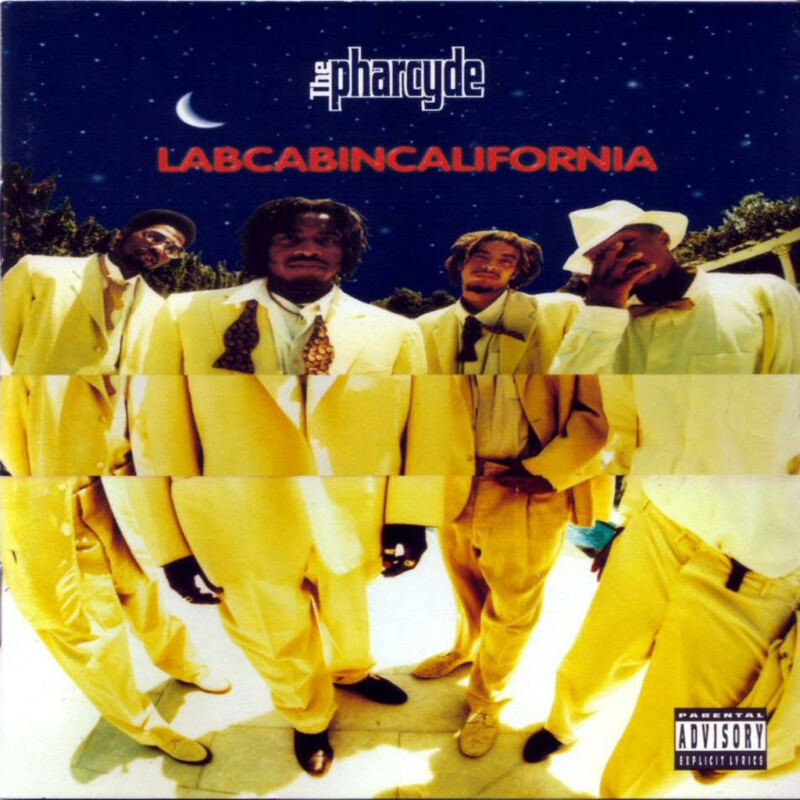 The Pharcyde “LabCabinCalifornia” 20 Year Anniversary! 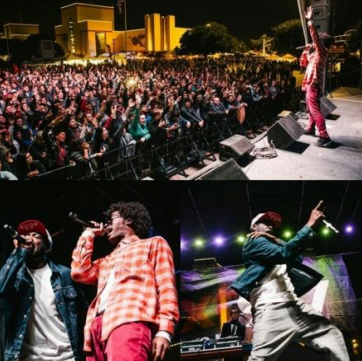 Take a look at a photo of The Pharcyde at #UntappedFest in Dallas this past weekend. at #Untapped!” Thank you Dallas for rocking with us!